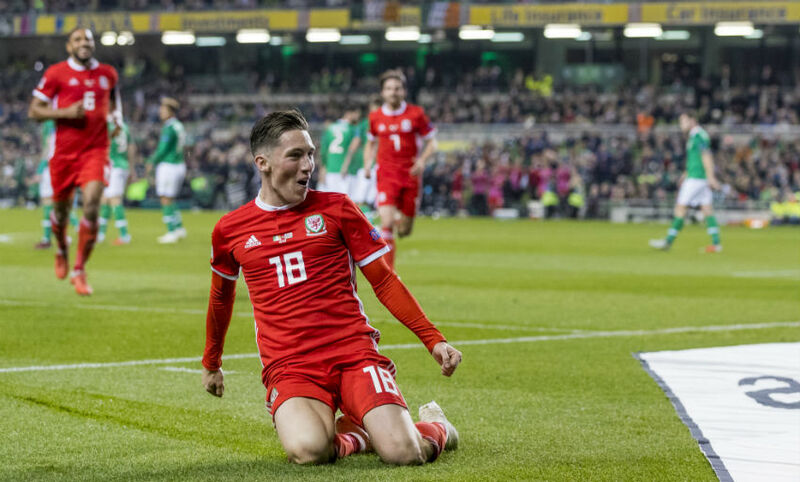 Neil Critchley is not surprised about the impact made by on-loan winger Harry Wilson, who netted another free-kick to remember for Wales in midweek. After an incredible set-piece strike against Manchester United at Old Trafford, he fired home the winner in his country’s clash with Republic of Ireland. 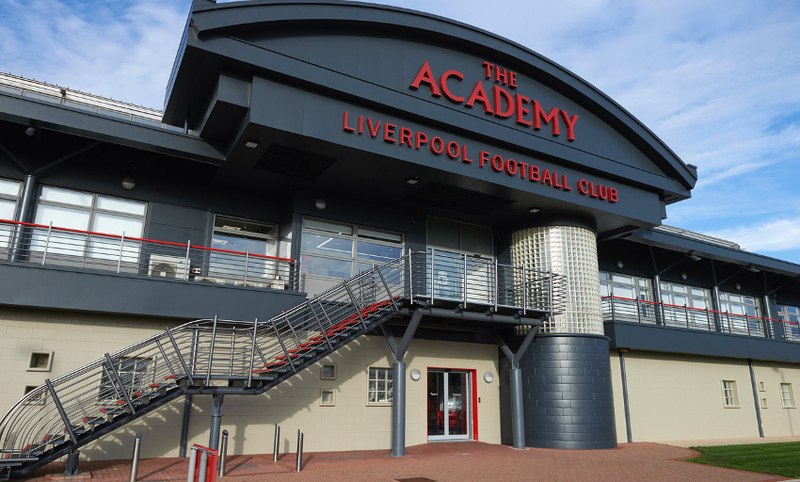 Kick-off at the Kirkby Academy is at 1pm BST and you can watch the game live on LFCTV and LFCTV GO. The one at Old Trafford was a special goal and it was one of those wow moments. It was like, ‘Did that just happen?’ It took your breath away and it was unbelievable quality. He backed that up with another fantastic goal for his country in midweek which was also the winning goal. We were absolutely delighted for him. Harry is making a bit of a habit of it, which is not a bad habit to have! He’s performing really well for Derby County and hopefully he will have a really good season for them. Harry has developed this type of free-kick over the past couple of years and he has it in him. Before training and after training Harry was always practising free-kicks and with the way he hits it and the way the ball moves so fast, he gives the goalkeepers a real problem. Credit to him because he is doing it on the big stage for club and country. We have always known about Harry’s ability and maybe it has taken him a bit longer to develop that, but that’s fine and that’s development, sometimes it does take a little bit longer for some players. 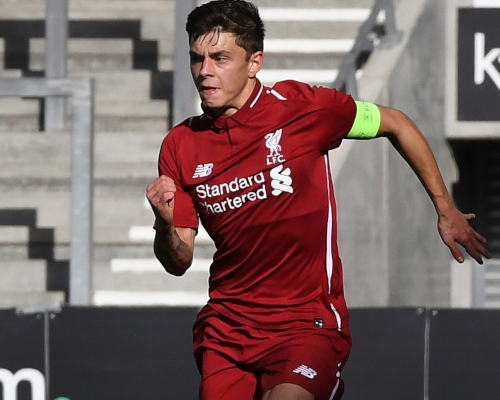 Harry has matured massively in the last 18 to 24 months and that’s credit to the work that has gone on previously with the coaches at the Academy and the first team as well. Harry is on a good pathway at the moment and he won’t be happy with what he is just doing at the moment because he wants more. With the ability he has got as well as his attitude and his focus I’d hope in the next few years he will go on to have a really good career for us hopefully. I don’t think the results have reflected the performance levels that we’ve shown in quite a lot of the games, and I don’t think there has been a big difference in the level of performance from last season to this one. I just don’t think we have been clinical enough in front of goal and we are missing that final bit, but I’ve been really pleased with how the boys have played in the majority of the games apart from one game when we let ourselves down. There have been lots of positives and I’ve been pleased with the attitude and the way the boys have approached the games. I just don’t think we have picked up enough points as we have probably deserved. I thought we were excellent in the first half. We created a lot of chances and we took them, which was the big difference compared with previous games. We were very clinical on the counter-attack but in the second half we had to withstand a lot of pressure and I felt we could have defended a lot better as a team. We conceded too many chances for my liking but it was nice for the boys to pick up a victory and to have that winning feeling in the dressing room after the game. We have played better in some of the other games and lost but the boys warranted and merited that victory for their previous performances. 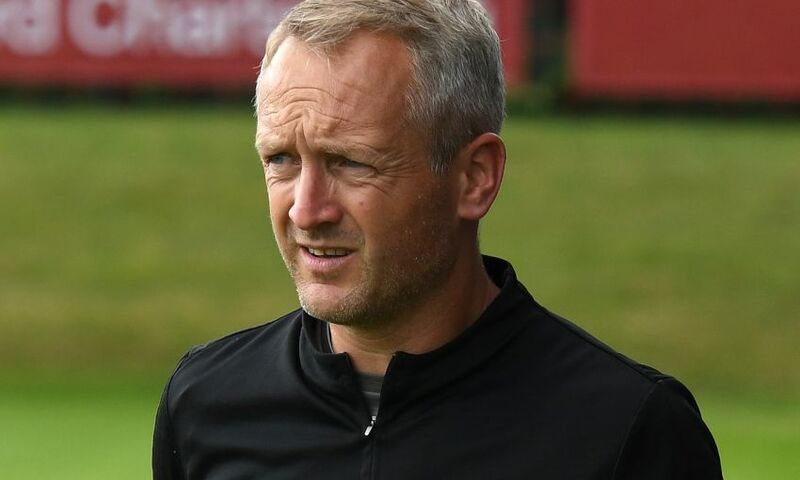 If we play the way we have been playing then the results will always take care of themselves, but we are always after performance and if the players are performing and progressing, improving and taking on board the things we are speaking with them about then the result takes care of itself. If we can maintain our level of performance I would expect us to win more games than we lose this season. We speak about it a lot, especially to this group of players. Having psychological stamina between the ages of 18 and 23 is hugely important. There’s plenty of ups and downs and we have to create habits that are going to be consistent for the rest of their careers. That is big from Alex [Inglethorpe] right through the Academy, developing those habits that hopefully they will go on to play for our first team. If they don’t then we are going to give them an opportunity to have a career somewhere else, but we are trying to give them habits that are going to be right for them whether they go on loan, whether they stay here or go somewhere else. So their attitude and their mindset are absolutely key. I would say that is one of, if not the most important thing at this age. Their mentality has to be spot-on every day. Both have made progress. 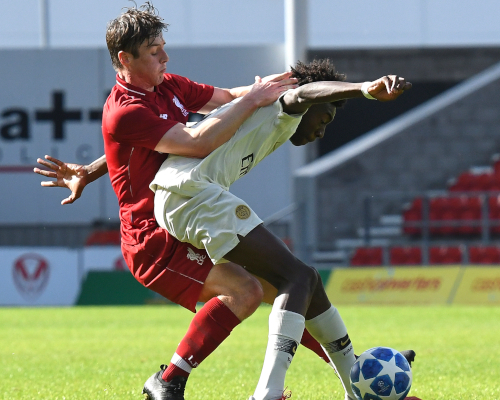 Adam is older than Neco and has probably had more exposure at U23 level, but they are still both really young and have plenty to improve and to work on. We are here to help them and they both know where they are at. They have things to achieve and look forward to but they also have other players behind them who are challenging for their positions. They are well aware of that and at the moment they haven’t achieved anything in a way they want to get to, so there’s lots for them to do at the moment. Bobby has been fantastic for us this season and has been a real threat in every game. I think he has improved massively since he has been at the club. He is brilliant to work with and he has had plenty of downs but he’s been on an up so far this season. We missed him in our last game in the cup at West Bromwich Albion. He’s still got a bit of an ankle issue which saw him come off against Napoli, which was unfortunate for him after scoring our goal, so he might not be ready for the game against Derby County on Sunday, which would be a big blow for him and for us. I love playing here. I’ve said it before, I’m a bit biased but our setting at the front and the pitch is arguably one of the best in the country. The players enjoy playing here as well. Derby always give us a tough game but hopefully if we play like we know we can then we can get a good result. Derby have given us some tough games over the years and they won here a couple of seasons ago. They beat us away last season and we had to work really hard when we won 1-0 at Tranmere Rovers. Derby have got some excellent players and they are really well coached, so we are going to have to work very hard and anything we get from the game on Sunday will be well earned. It takes a little bit of time to adapt always when somebody steps up. I think you’ve seen that from a lot of the players and it just takes that little bit of time. As the ages go up the level gets a bit better, the standard becomes better and it gets harder. We have to just keep believing in the process that we have, keep practising with them and make sure the boys remain focused with what they are trying to achieve and eventually hopefully their ability will shine. I think they have shown it in glimpses but I think both players would say they have got a bit to do and prove themselves as well. Liam has been here at the Academy for a long time. He is a Scouser, he is a Liverpool player and it’s great for us to have him in our squad and around the Academy, because I think he epitomises everything you would want in one of our own players. He hasn’t played as many minutes at U23 level as he would have liked so far this season for different circumstances but he is going to be a really important member of our squad this season, and he’s going to get plenty of games, no doubt about that. He has performed very well in the two games he has played in the UEFA Youth League. I’m delighted Coyley is here, I love working with him and by the end of the season he will prove his worth for us – no doubt about it.